This is the motorable section of London Road. Behind the camera it is pedestrianised. 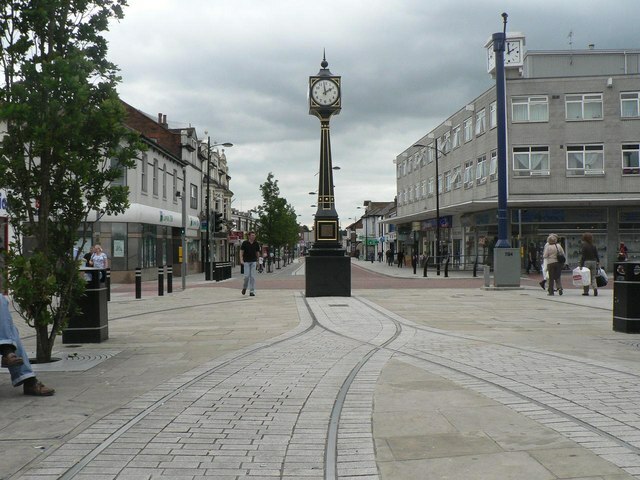 The SU6809 : Waterlooville: the town clock dominates the picture.